Star Citizen, arguably the most ambitious game ever conceived, has now passed the incredible milestone of two hundred million dollars raised through crowdfunding means. When we grabbed the screenshot below from the official crowdfunding page, the game had raised $200,013,186 to be exact, thanks to 2,121,314 backers. A quick math count tells us that they have contributed an average of 94.28 dollars each. In other good news, even if you haven’t backed Star Citizen yet you’ll have the chance to check out every ship in the game for free next week as part of a ‘Free Fly’ event that the folks at Cloud Imperium Games have promoted to celebrate the release of the game’s first explorable planet, Hurston. Below you can find additional details about this event. Star Citizen still does not have a release date, but it is finally starting to come together. 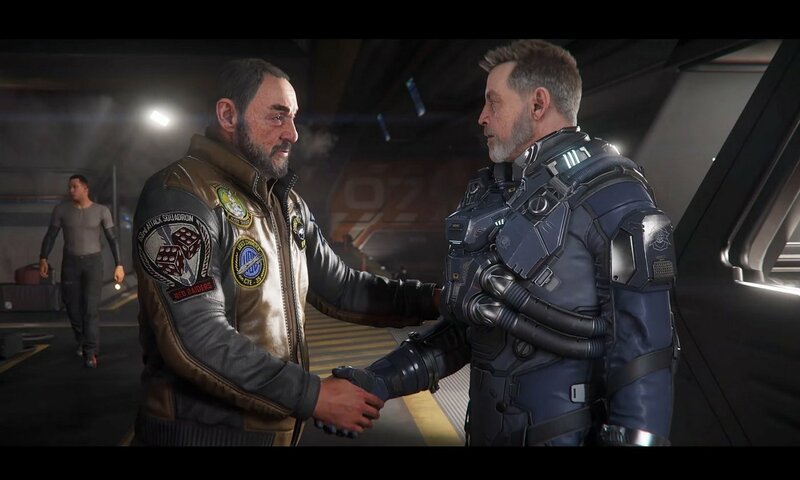 The developers have detailed some of the upcoming additions at the recent CitizenCon event. 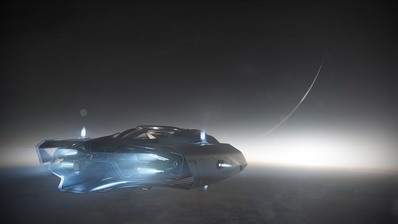 To celebrate the release of Hurston, Star Citizen’s first explorable planet, and commemorate our anniversary, we’re launching a Free Fly event of unprecedented magnitude. 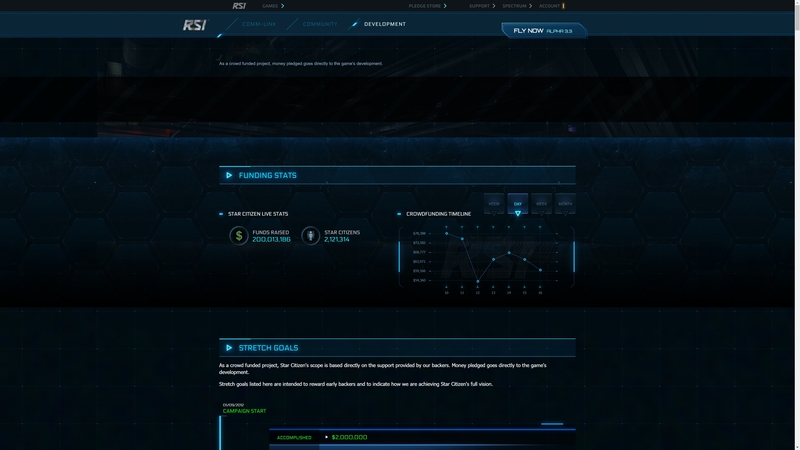 During the promotion, anyone can join Star Citizen’s Persistent Universe for free. 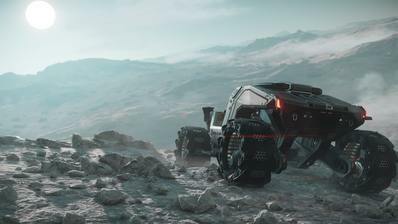 You’ll be able to experience Star Citizen first-hand, but to get out there and start exploring, you’re gonna need a ship. Starting on November 23rd, every day at 8am PST, a different ship manufacturer in the game will make its entire flyable fleet available for a 24-hour test flight period. There may also be some surprises in store for those of you who make the trek out to Hurston and see what Lorville’s all about, as well as some fun interactive activities here on the website, so stay tuned. Check out the schedule below to plan your free test flights. Have fun and fly safe! Gladiator: A ruggedly built two-person dive bomber. Hornet F7C: Tough and dependable, the F7C is a multipurpose medium fighter. Hornet F7C Wildfire: Special Edition of the F7C Hornet with custom livery and loadout geared for Arena Commander. Hornet F7C-R – Tracker: Sacrificing a turret for an advanced radar dome, the Hornet Tracker seeks what is hidden. Hornet F7C-S – Ghost: Stealthy, quiet, silent – the Ghost haunts an area by keeping a low profile. Hornet F7C-M – Super Hornet: A two-seater multi-purpose medium fighter with a heavier loadout. Hurricane: A heavy fighter with excessive loadout, including a turret that punches through shields and defenses. Terrapin: Heavily armored ship with a sophisticated scanner, ideal for recon and exploration. Valkyrie: A heavily armed multirole gunship and dropship. Aurora ES: A descendent of the X-7, this is the perfect choice for new ship owners. Versatile and intuitive. Aurora LN: For the combat focused, the Aurora LN comes with bigger shields and larger weapons that pack a punch. Aurora LX: The Aurora Deluxe, adding luxury and comfort for long stretches in the deep black. Aurora MR: A balance of function and performance, the Aurora MR comes with cargo capacity and guns to ensure freight gets there safely. Constellation Andromeda: A multicrew freighter with modular design, the RSI Andromeda is one of the most iconic ships in the verse. Constellation Aquila: Exploring the stars and distant horizons with a rover, sensor suite and a redesigned cockpit offering max visibility. Constellation Phoenix: A chariot of the Gods, this converted luxury, high performance Constellation freighter is ideal for VIP transport. 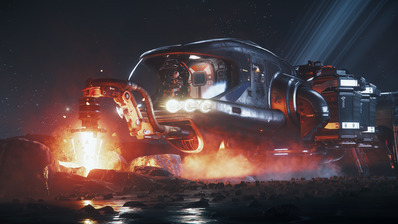 Ursa Rover: Rugged, durable and tough, this is the rover you need to explore a multitude of environments. 300i: Travel in style with this high-performance sleek touring ship. 315p: Traverse the ‘verse with this high-performance exploration focused ship. 325a: Origin’s sleek signature fighter, the 325 makes a great companion for finding your mark in style and sophistication. 350r: Origin’s sleek signature racer, the 350 makes a great companion for leaving your peers in the dust. 600i Explorer: The luxury yacht of Star Citizen, designed to explore in comfort and style with a vehicle bay. 85X: A luxury and sporty short-range runabout for pilot and passenger. M50: Origin’s premier racer, small, fast and highly agile. Avenger Stalker: A modified version of the Avenger, catering to bounty hunters with prison cells. Avenger Titan: A former police ship with a cargo hold for light freight and courier abilities. Avenger Titan Renegade: Special Edition of the Avenger Titan with custom livery and loadout geared for Arena Commander. Avenger Warlock: A variant of the Avenger, armed with an EMPgenerator to disable enemies. Eclipse: A sleek stealth bomber, armed with heavy torpedoes. Gladius: An aged but agile light fighter with mid-range armament. 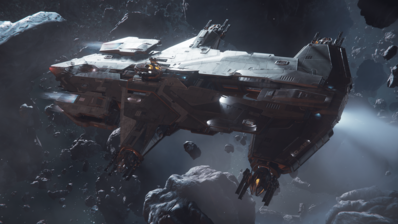 Gladius Valiant: Special Edition of the Gladius with custom livery and loadout geared for Arena Commander. Hammerhead: A multi-crew corvette bristling with manned turrets designed to counter fighters. Reclaimer: A heavy deep space salvage vessel to reclaim wrecks and derelicts. Retaliator Bomber: A long-range anti capital ship bomber, covered in manned turrets and capable of launching size 9 torpedoes. Sabre: Favoring agility over durability, this ship is light, sleek and deadly. 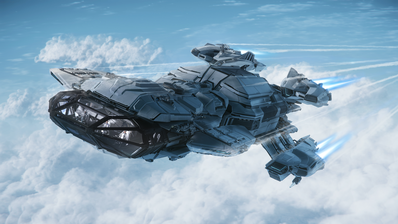 Sabre Comet: Special Edition of the Sabre with custom livery and loadout geared for Arena Commander. Vanguard Hoplite: Long-range squad dropship with a turret gunner. Vanguard Warden: Long-range heavy fighter with a turret gunner. Buccaneer: A light fighter that sacrifices durability and an ejection seat for raw fire power. Caterpillar: A heavy multicrew commercial freighter. Lightly armed, with superior cargo capacity. Caterpillar Pirate: A heavy multicrew commercial freighter. Lightly armed, with superior cargo capacity and custom pirate livery. Cutlass Black: Black is back. Drake’s multicrew Cutlass is highly versatile, with combat and cargo prowess. Dragonfly Black: A two-seater grav-lev bike. Easily traverses rough terrain, or closes the distance in space. Dragonfly Yellowjacket: A two-seater grav-lev bike. Easily traverses rough terrain or closes the distance in space with custom yellow livery. Herald: No secret is safe, Drake’s Herald captures and stores information before leaving at blistering speed. Khartu-al: Enigmatic, exotic and agile. The fragile Khartu-al excels at lateral thrust and maneuverability. Nox: Sleek and fast, this gravity bike slices across rough terrain. Perfect for scouting and racing. Nox Kue: Sleek and fast, this gravity bike slices across rough terrain. Perfect for scouting and racing with a bespoke Silver paintjob. Vanduul Glaive: This Alien medium fighter replica drives fear with it’s ramming blades. 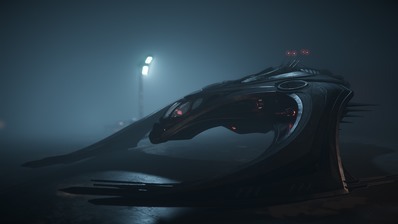 Vanduul Blade: Armed and Dangerous. This alien fighter slices through the air with it’s agility and shreds its foes. Freelancer: A multicrew cargo freighter, with turret and ordnance to deter those after it’s haul. Prospector: A miner’s best friend, with a powerful mining laser and saddle bags to turn mineral to profit. Razor: Cutting ahead of the competition, this sleek racer will give the others a run for pole position. Razor EX: Stealth special edition of the Razor outfitted with signature-reducing materials and stealth components. Razor LX: Special edition of the Razor features an overclocked engine, reduced maneuverability and armaments in exchange of straight-line speed. Reliant Kore: A fusion of Xi’an and Human technology, this light freighter allows you to haul cargo with a friend. Starfarer: Keep fleets on the move with this heavy refueler. Starfarer Gemini: Keep fleets on the move with this heavy refueler, The Gemini version sacrifices capacity for armor and a missile launcher. P-52 Merlin: Small, agile and comes with a sting. This snub fighter is fragile, but difficult to hit. MPUV 1C: A small and unarmed utility runabout that transports cargo. MPUV 1P: A small unarmed utility runabout tuned to transport personnel. Cyclone: Stir up a storm with this robust two-seater buggy that can carry a little something in the back. Cyclone AA: This two-seater buggy with EMP functionality is armed with an anti-air missile launcher to deter threats from above. Cyclone RN: Unveils the fog of war, the recon variant of the Cyclone is mounted with a powerful scanner array. Cyclone TR: Support ground infantry with this combat variant, equipped with a mounted turret to provide cover fire for ground operations. Cyclone RC: Racing variant. It’s red, fast, and equipped with built-in nitro boost. Mustang Alpha: Consolidated Outland’s premier ship for those wanting to push the limits a little more when starting out. Mustang Beta: Home is where the heart is, the Beta offers comfortable living quarters for beginners roaming the frontier. Mustang Delta: The Mustang Delta is armed with heavier weapons and rocket pods. Mustang Gamma: Racing the competition? The additional engine loaded into the back will provide the competitive edge you need.